This light weight aluminium bottle opener is small enough to fit in your pocket so it'll always be by your side. 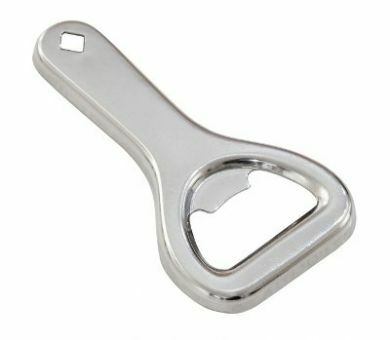 The size and durability of this bottle opener makes it ideal for at home or out and about, you could even attach it to a key chain using the small hole in the handle. The head ensures crown tops are quick and easy to open, completely fuss free.